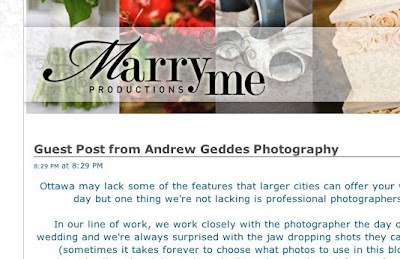 I wrote up a little list of things that wedding photographers love, for Marry Me Productions. They provide some of the best wedding planning that Ottawa has to offer, and their blog is frequently updated, and full of useful information. - Check it out!